Number of runbooks and how ofter they run. Each time a runbook runs, it writes data to the database. Orchestrator also stores all configuration information for runbooks in the database. A large number of runbooks uses more space, even if they are not running. Log Purge settings. By design, only runbook historical data is groomed from the database. If you create a run-book and later delete the runbook, it remains in the database but marked as deleted.Performing all testing and authoring in a test Orchestrator environment will save you space in the production Orchestrator database. The log purge job purges job from the Policyinstances, Objectsinstances, and Objectsinstancedata tables in the Orchestrator database. Data from these tables is shown in the Historical Data pane in the Runbook Designer console. The Log and Log History views show selected data from the Policyinstances table. When you click on a log entry, data for the objects in that policy instance are shown from the Objectsinstances table. When selecting an object, data for that object is read from the Objectsinstancedata table. A new Orchestrator installation have a database around 3Mb and after we add the System Center 2012 integration packs the size is almost 4 Mb. 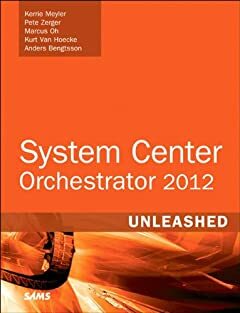 Compared with the other System Center 2012 components the Orchestrator database is a quite small database. But it will start grow as soon as you build and run runbooks. On Technet you can find information about how to estimate the database size. But to make it a bit easier I have created a Excel that you can fill in information, and it will show you the database size. Column J show you number of days that 500 invocations takes, for example if the runbook runs 100 times every day column J will show you 5. With default log purge settings you will store data for 5 days for that runbook. Note that the Excel sheet is provided “AS-IS” with no warranties. These figures are not exact, see them as a rough estimates.